Changes are due soon in the Prince of Wales Road and Rose Lane area of the city centre. In this post we look at what people cycling want to improve this area. 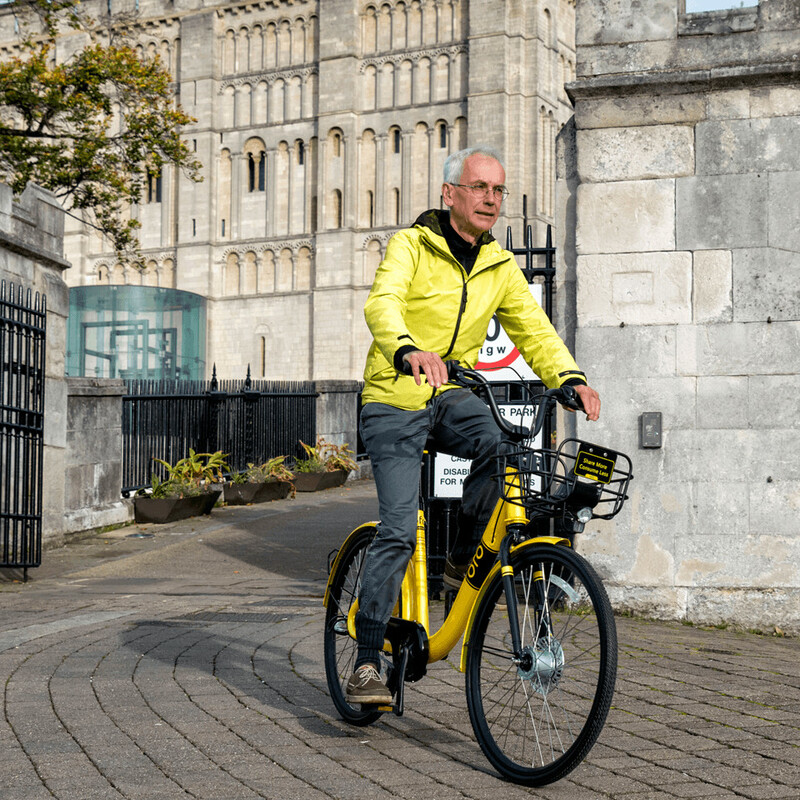 Norwich Cycling Campaign is in favour of the general approach of reducing motor traffic inside the city walls and in particular curtailing through motor traffic that adds nothing to the city centre. Substantially reducing motor traffic is a key part of the city council’s attempts to improve the poor air quality in the city centre. We understand the general approach is that Prince of Wales Road could become two way for buses and cycles with Rose Lane changing to two way for all vehicles. We support this general design and these are the key requirements for cyclists in this area. 1. Segregated cycle tracks should be built on Prince of Wales Road. Even though traffic will be substantially reduced many people are uncomfortable cycling with buses and cars, especially as they travel at some speed down the hill. For this reason segregated tracks are needed. There is room to build the street in the style of footway-cycle track-parking-traffic lane however there probably isn’t the money to do so at the moment. We believe light segregation using wands or zebras should be used on both sides of the road. 2. King Street between Prince of Wales Road and Rose Lane: the junction at PoW should be closed to motor vehicles and the footway made continuous across the junction. This will allow this section of King Street to become two way for cycles with motor vehicles travelling one way from Greyfriars Road to service King Street. Currently north-bound (city-bound) have to use the shared use path yet many cyclists report abuse for cycling on it, and shared use is not appropriate for urban locations. Closing this part of King Street to through traffic should improve air quality in an area with new offices and appartments. 3. The junction at Agricultural Hall Plain must be designed to allow cycles to join and leave Bank Plain and Upper King Street as well as Castle Meadow. Bank Plain could become an important route if London Street is opened to cycling. The junction at Upper King Street must consider how PoW will connect to the short Tombland cycle track. 4. King Street/Rose Lane junction to Cattle Market Street: there are a number of commuters who turn right from King Street to Cattle Market Street and the changes must connect with the cycle lanes on Cattle Market Street put in as part of the Golden Ball Street changes. There is a huge amount of space on the highway at the junction by Crown Road and segregated cycle tracks should be built. 5. Rose Lane area. 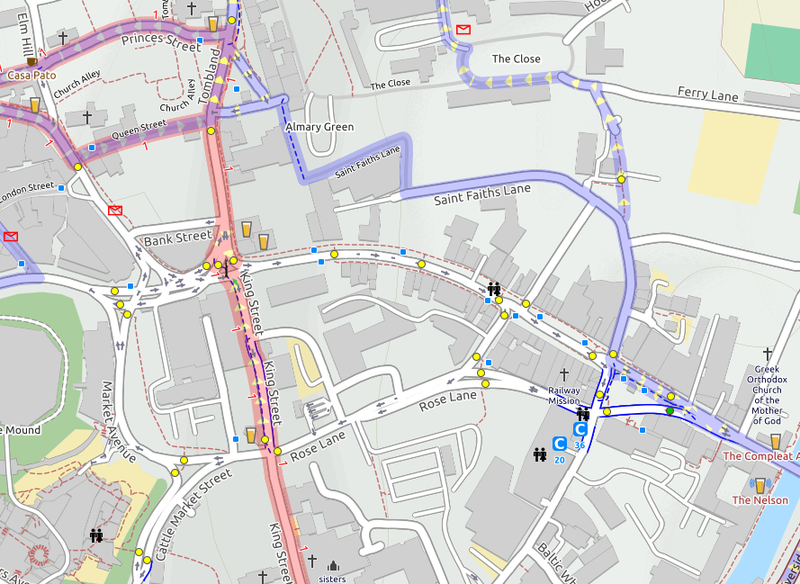 Rose Lane is currently a virtual no-go area for cycles (and most pedestrians) however there are many new developments at the Union Building, Imperial House and various sites on Mountergate that are/will be redeveloped. Consideration must be given to how the people living and working around Rose Lane will walk and cycle across it to connect with safe and convenient routes on King Street and PoW.